How do I apply to become a retailer of MiaBella Foods? 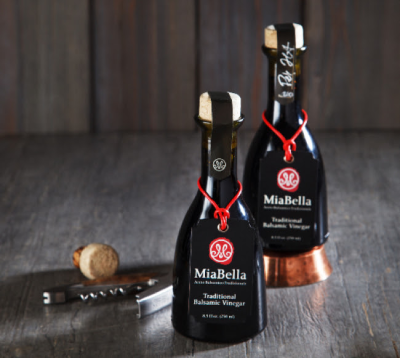 Want to sell MiaBella Foods gourmet ingredients to your customers? Simply click here to apply today! We’ll be in touch soon! Can I get a sample of MiaBella to try first? Yes! If you apply and we see that you would make a great fit for our brand and that our brand would be a great fit for you customers then we will send you a sample right away! Sometimes we don’t have all of our small batch products in stock but once those are back in stock we can ship you samples of those as well! How Does MiaBella promote its retailers? MiaBella is dedicated to helping our retailers sell our product. We understand how difficult it can be to run a grocery store and marketing products is very difficult to begin with! When possible, we will do demos to share our product with your customers. We have some retailers who ask us to do one demo a year and we have other retailers where we run 2 demos a day, 4 days a week for a total of 8 demos a week in 8 different stores! We also believe that if you aren’t doing digital marketing you are falling behind. But as a grocery store buyer, a boutique gift store owner, or a small restaurant… you don’t have time for that! That’s why for each new wholesale customer we onboard, we will do a full write up on your brand, locations, and offerings with a link to your website and/or social accounts. We will also run facebook and/or instagram ads letting our customers as well as your customers know that they can now get MiaBella at your store! This not only helps us sell more products under your roof but it also drives new potential customers through your doors! All on our dime so you don’t have to budget for that ad spend! Does MiaBella only sell to grocery stores? No! We sell to grocery stores, gourmet gift shops, restaurants, food trucks, large chains, distributors, mom and pop shops, butchers, specialty cheese shops, bakers, and more! The biggest thing we do before we offer a retailer wholesale is make sure that we can both represent our brands in the best ways possible. It will only be a winning relationship if it’s a good fit for us both. Not sure? Just reach out and let’s talk! Do I get quantity price breaks as a retailer? Once you are an approved retailer, we give you access to our online portal with your very own account. There are quantity price breaks that will trigger automatically when you place certain size orders. Does MiaBella offer other discounts? We know that retailers are just like consumers… looking for value! Even if you don’t plan on buying our products wholesale very frequently, you must still apply to get emails with exclusive discounts to our retailers! We are talking BOGO’s on cases, Flash sale discounts, new product launch deals, holiday specials, and FREE content to share with your customers. It’s all about providing as much value as possible! Is ordering wholesale products from MiaBella difficult? We are working super hard to make this the easiest possible process for our wholesale partners. That’s why we just launched our online portal. Once approved, you will have access to our private online catalog where you place orders just like you would when you are shopping online for yourself! We have options to pay via Credit Card, PayPal, or COD! Cash on Delivery orders will be contacted to determine the terms of the agreement and how payment will be made. New retailers are required to pay prior to shipping. Does MiaBella Charge for shipping wholesale orders? We ship FREE to all USA based retailers! No matter how big or small the order is! International retailers are required to arrange shipping as well as handle any importing duties and tariffs in your country. Does MiaBella Work with any Distributors? Yes! We love distributors! Right now we have distribution partners in Southern California, Arizona, and the Midwest! Want to be an exclusive distributor? Email us and find out what regions we are looking for distributors in! Want to order from a distributor instead of ordering direct? Email us and we’ll help determine who the best distributor is for your location! I am an online retailer… can I still resell MiaBella Foods gourmet products? We love online retailers! Have a specialty online store or gifting website? Apply here and we’ll discuss a potential partnership! ANY SELLERS ON EBAY, AMAZON, WALMART, ETSY, OR SIMILAR MARKETPLACES WILL BE DENIED. THESE STORES ARE CONSIDERED “IN-HOUSE ACCOUNTS” AND ANY RETAILER FOUND TO BE SELLING ON THESE CHANNELS WILL HAVE THEIR ACCESS TO WHOLESALE FROM MIABELLA FOODS REVOKED IMMEDIATELY. Are MiaBella Products Organic Certified? MiaBella Foods are not currently organic certified. That being said our products are of the highest quality and are often agriculturally organic certified… unfortunately that does not allow us to automatically make organic certified claims.